Stay with us for a totally unique and luxurious holiday experience in your own private pool villa on the west coast of Phuket. 6th Avenue Surin Beach is much more than a resort. 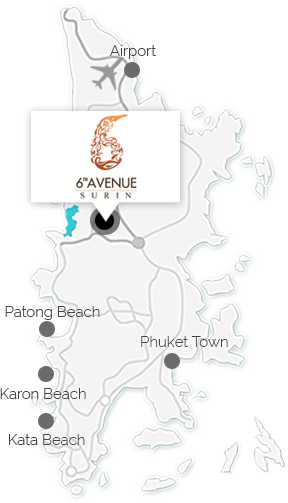 6th Avenue Surin Beach in Phuket is your own luxury home from home with your very own private pool and garden near the beautiful west coast of this tropical island in southern Thailand. Whether you're looking for a romantic getaway for two or staying as a large family group, 6th Avenue Surin Beach has one-, two- and three-bedroom villa options to suite you.